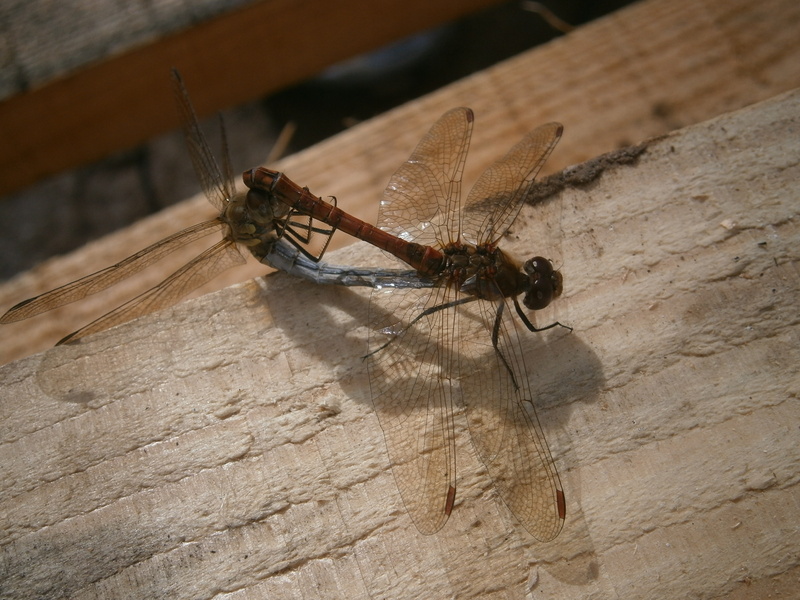 A week or so ago, in one of the last unseasonably warm spells we had, I saw two dragonflies mating at the St.Ann’s allotments…. These dragonflies are demonstrating the “wheel” formation characteristic of mating Odonata, and not seen in any other insects. They maintained the formation for several minutes, long enough to find a camera and take a photograph. I think the species is Common Darter (Sympetrum striolatum), or perhaps Ruddy Darter (S. sanguineum), I’m not certain exactly which. Both are fairly commonly seen dragonflies. This is an African species, which has established feral populations (originally from escaped captive birds) in Eastern England. 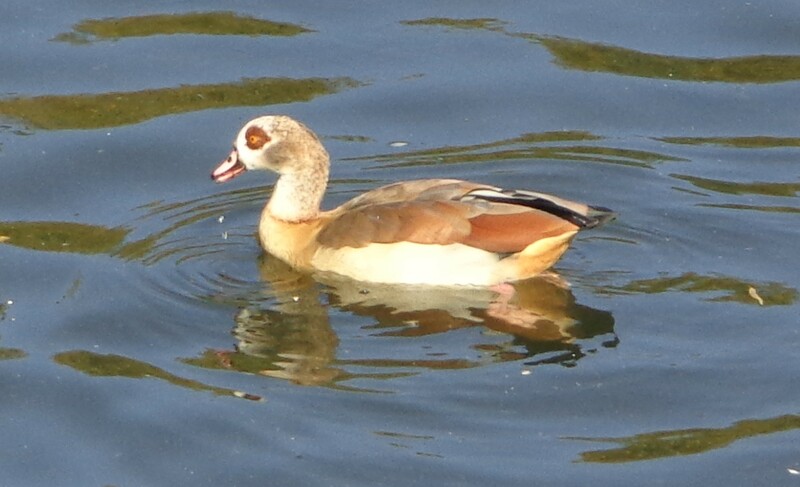 Despite its common name, it is not a goose but a duck, related to the Shelduck. Thanks to Viv Crump for the photo, which was taken at Attenborough Nature Reserve.